Last December, one of the greatest legal minds in American history, Robert H. Bork, passed away at the age of 85. Bork was, by all accounts, an accomplished legal scholar, a brilliant jurist, and an intellectual giant, with an extensive array of books, articles, and opinions to his name. Despite all of this, he was more widely known to the public for what he was not—confirmed to the Supreme Court. 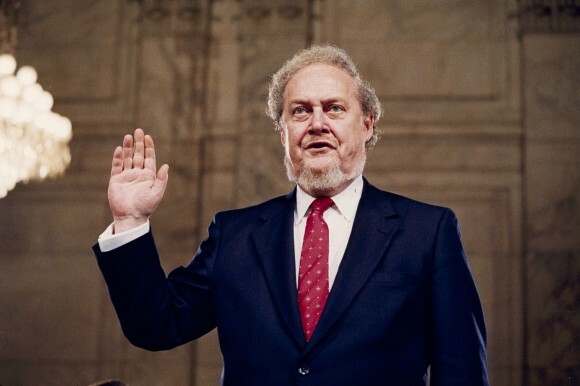 His failed nomination is an example of the very worst political demagoguery and villainy, even turning his name into a verb, meaning, “to obstruct through systematic defamation or vilification.” But even after his vilification and rejection by Senate Democrats, Bork went on to build a legacy that fundamentally altered the legal direction of America—perhaps even more than he would have from the Bench. While a professor at Yale Law School in the 60’s and 70’s (where his students included the Clintons, Robert Reich and Jerry Brown), Bork became one of the nation’s preeminent antitrust scholars. His book on the subject, The Antitrust Paradox, was largely responsible for a dramatic and permanent shift in the way the Courts have interpreted antitrust laws. In his view, shared by many of the pro-market Chicago school of economics, the goal of such laws is the maximization of “consumer welfare” and economic efficiency, rather than on the actions of individual companies, whatever they may be. This helped to center the Court’s decisions on what was best for consumers, as opposed to arbitrary and irrational limitations on companies. Thus, Bork—who was a key player in the Microsoft antitrust case of the late 90’s—is largely responsible for enriching the lives of millions of consumers. Such a restrained approach served as a repudiation of the wild overreach of many liberal courts, and has given a number of conservative-leaning justices a solid basis for limiting government power. At its core, originalism is a repudiation of one of the Left’s favorite tropes: that the Constitution is a “living document” that’s meaning changes with the times. Thus, the Left cannot stand the concept of originalism for the very same reason they cannot abide most tenets of conservatism—it places real limits on the excesses of government, and restricts the powers of liberal judges to create new laws, regulations, and policy at whim. But Bork’s criticism of the judicial activism of the Left went beyond mere concern over the proper interpretation of laws. He also considered it a grave moral and social problem. A decade after his nomination, Bork published Slouching Towards Gomorrah, in which he argued that the rise of the “New Left” in the 1960’s had led to a decline in Western culture, as well as the rejection of the American political tradition. According to Bork, modern liberals’ focus on radical egalitarianism—that is, the equality of outcomes, rather than opportunity—is fundamentally opposed to the values that define Western civilization. Using the cudgel of unchecked judicial activism, modern liberalism has relentlessly attacked religion, upheld affirmative action, legalized assisted abortion, and much more. Slouching has served as a rallying cry for many social conservatives who oppose the havoc wreaked by modern liberalism. To Bork and many others, the New Left has eroded the moral and cultural fabric of America; moreover, such civic decay often harms the most vulnerable in society, only furthering the spiral. Bork has been viewed by many on the right as an inspiration in the battle against the damage wrought by the Left. Robert H. Bork was, in the words of Supreme Court Justice and fellow originalist Antonin Scalia, “one of the most influential legal scholars of the past 50 years.” Despite the brutal rejection of his nomination to the Supreme Court in 1987, Bork’s ideas exercise untold influence on the Supreme Court, the legal world, and American society. His work has fundamentally altered a wide range of issues—from antitrust law, to constitutional interpretation, to the effect of modern liberalism on American culture. Bork built a legacy equaled by few men, and more lasting than that of many Supreme Court Justices. He will be missed. October 29, 2013 in Historical Note. ← Don’t UC Our Side of the Argument? The New Free Speech Movement?